This is really a quiz question. 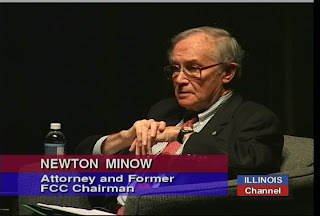 What indeed do Newton Minow (JFK's then-young FCC chairman) and T. S. Eliot have in common? You really should know the answer to this. Here's a hint: if you click here you will go to my 1960 blog, where I've written something about the state of television in that year. A few months after the year ended, Minow made a speech in which a single phrase will always be remembered.